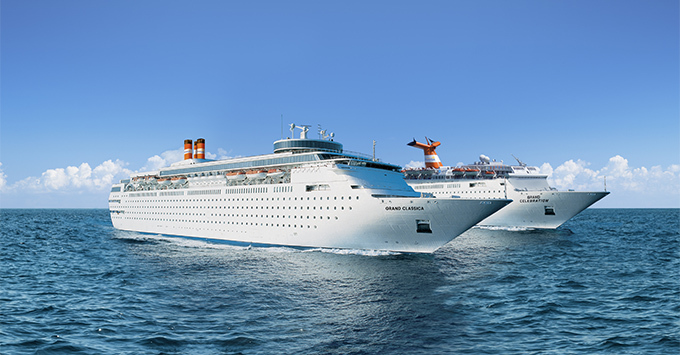 (1:15 p.m. EDT) -- Bahamas Paradise Cruise Line is improving internet connectivity onboard and providing access to its high-speed internet free of charge to crew members. "As a former shipboard IT Manager, I have long understood the importance for crew members to have regular contact with loved ones while at sea," said Richard Coombs, Vice President of IT Services for Bahamas Paradise Cruise Line, in a news release. "I am proud we can now offer this service to our valued crew, delivering the required bandwidth to support services and apps beyond simple e-mail and text messaging." According to the release, the line is collaborating with a provider of an innovative new service that will soon expand its high-speed internet performance while its ships are out at sea. "Sailing between the Port of Palm Beach and Grand Bahama Island, the exclusive itinerary provides Bahamas Paradise Cruise Line with the opportunity to augment conventional, satellite-based connections with high-speed terrestrial circuits, providing a superior online experience for both guests and crew," the release said. Bahamas Paradise Cruise Line includes Wi-Fi in its terminals, along with mobile check-in for passengers. No details yet on when the new internet service will take effect.